Clever, headstrong Elizabeth Rose Camperdowne knows her duty. As the sole heiress to an old but impoverished noble family, Eliza must marry a man of wealth and title — it's the only fate for a girl of her standing. But when a surprising turn of events lands her in the royal court as a maid of honor to Anne of Cleves, Eliza is drawn into the dizzying, dangerous orbit of Henry the Eighth and struggles to distinguish friend from foe. Is her glamorous flirt of a cousin, Katherine Howard, an ally in this deceptive place, or is she Eliza's worst enemy? And then there's Ned Barsby, the king's handsome page, who is entirely unsuitable for Eliza but impossible to ignore. British historian Lucy Worsley provides a vivid, romantic glimpse of the treachery, tragedy, and thrills of life in the Tudor court. Lucy Worsley is the chief curator at Historic Royal Palaces. She is also a presenter of programs on royalty and other topics for the BBC. 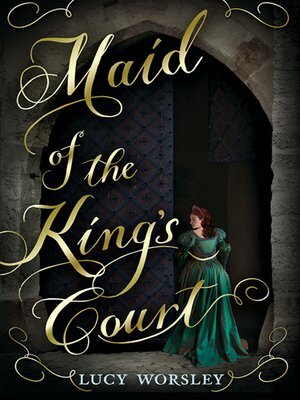 Maid of the King's Court is her young adult novel debut. Lucy Worsley lives in London.